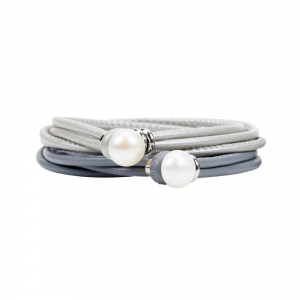 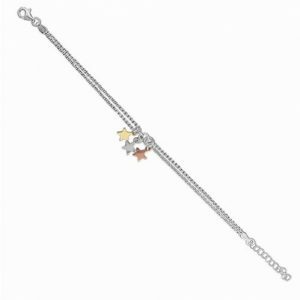 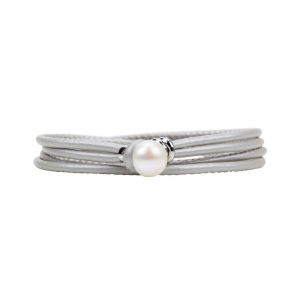 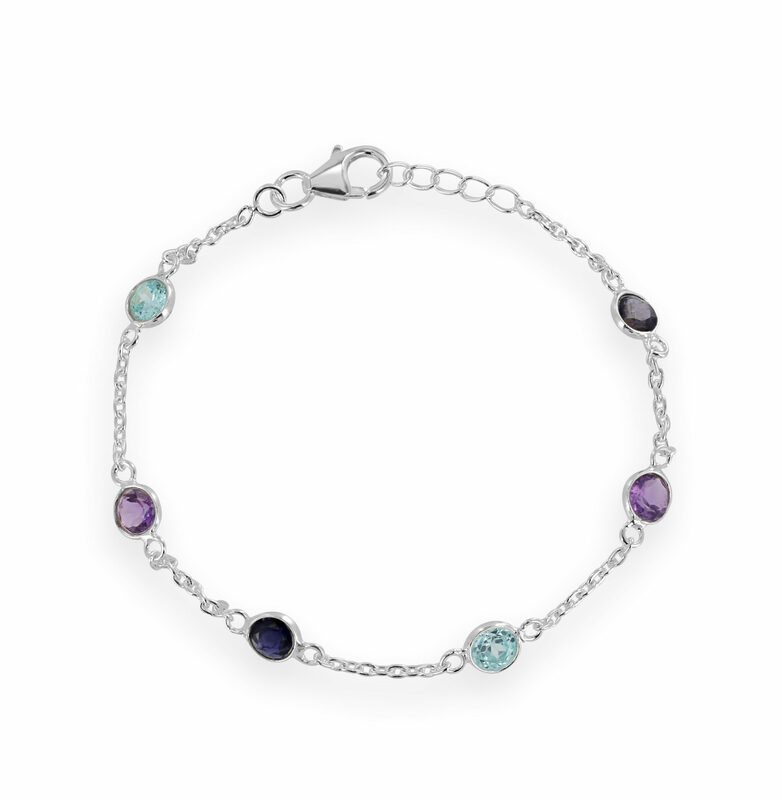 This Katie bracelet in silver also makes a fantastic gift at a great price: £25. 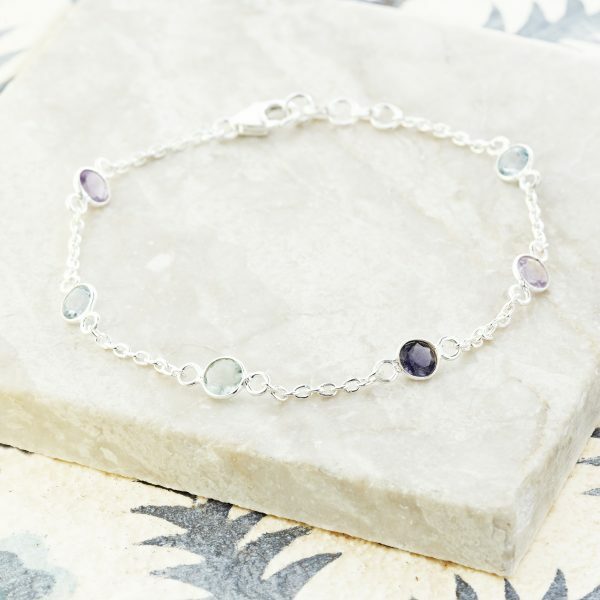 Our Katie silver bracelet is a pretty mix of amethyst, iolite and faux blue topaz. 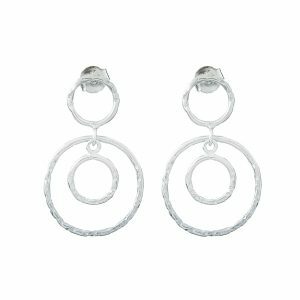 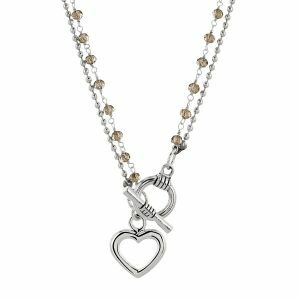 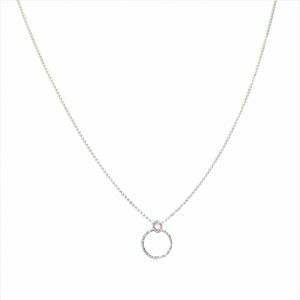 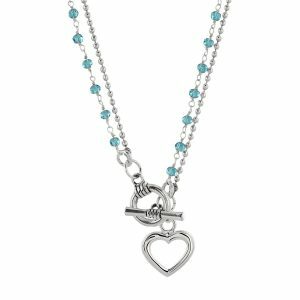 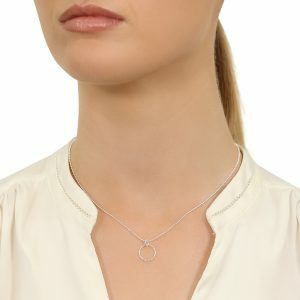 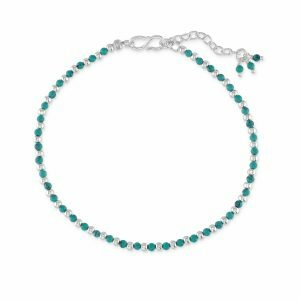 A delicate silver chain encases the stones. 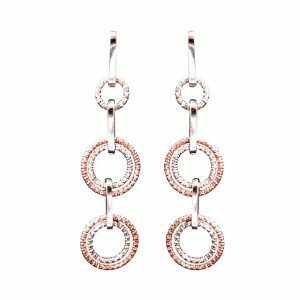 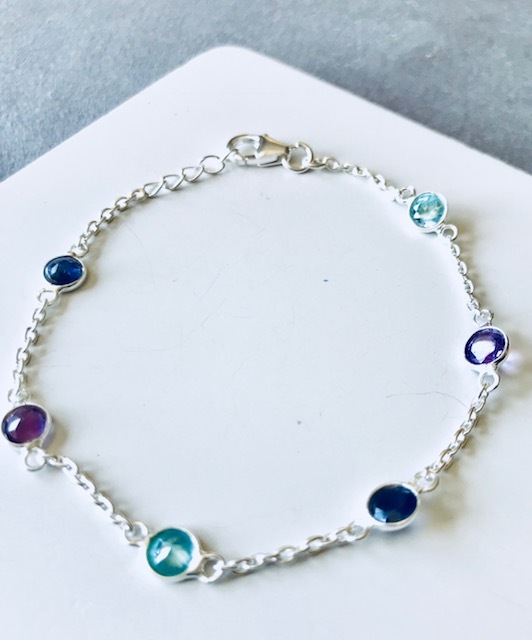 It is the blend of colour of the stones with the silver that made us fall in love with it; we hope you will enjoy wearing it too. 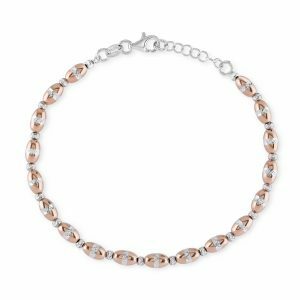 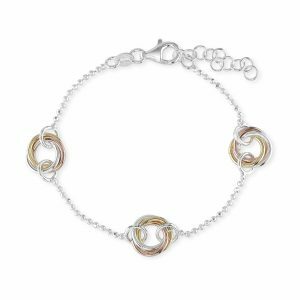 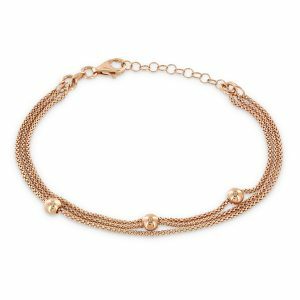 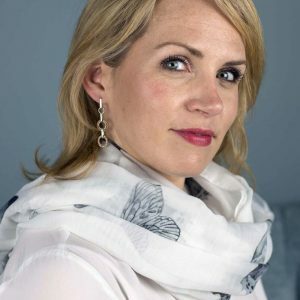 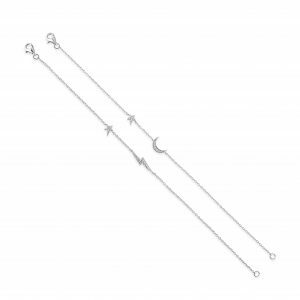 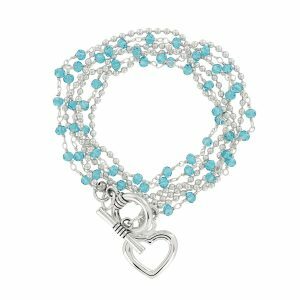 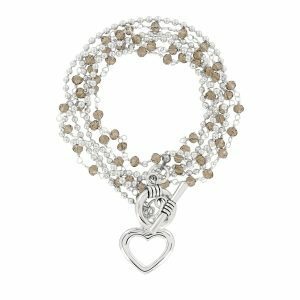 This Katie bracelet looks great on its own but it can also be worn alongside any number of other silver bracelets and bangles if having cluster of bracelets is more your thing. 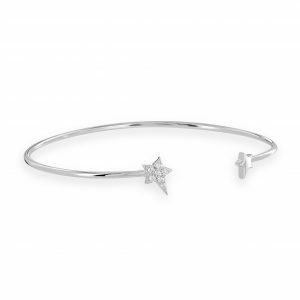 Like all Flutterby jewellery, your Katie bracelet will arrive gift-wrapped in a box.